In the state of Uttar Pradesh, Country’s first Rapid Rail has knocked it’s knot. The First Phase for this project will start from NCR, and will run in between Delhi and Meerut Corridor. 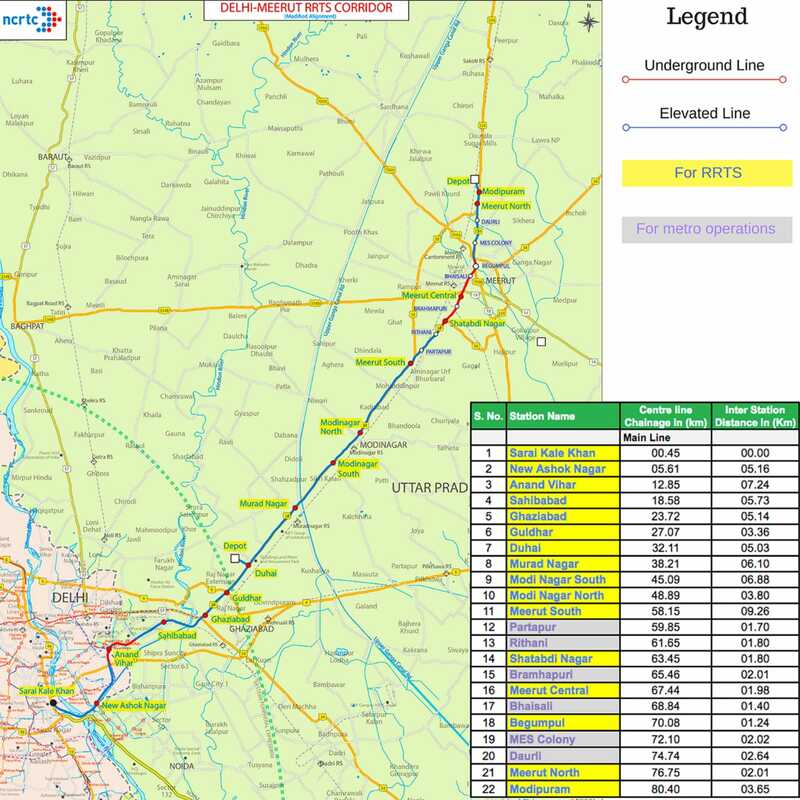 National Capital Region Transport Corporation (NCRTC), a Joint Venture of Government of India and State Governments of Uttar Pradesh, Rajasthan, Haryana and Delhi, is mandated to design, construct, operate & maintain rail based Regional RapidTransit System (RRTS) in the National Capital Region. Three RRTS corridors: Delhi-Meerut Smart Line, Delhi – Panipat Smart Line and Delhi – Alwar Smart Line have been prioritised for implementation in first phase. Delhi-Ghaziabad–Meerut corridor will be the first corridor to be implemented for which pre-construction activities including Geo-technical investigations, detailed design, utility shifting planning and traffic diversion planning are in progress. RRTS, first of its kind project in India, with design speed of 180 kmph will use state of the art technologies for track structure, rolling stock and signalling system. Expertise and experience in India on these technologies for higher speeds being limited, International expertise will be tapped for efficient implementation of project, operation of system and developing capacity in the country. Administrador de Infraestructuras Ferroviarias (ADIF), Spain, State-Owned Railway infrastructure company has experience of planning, developing, constructing, operating and maintaining high-speed railway and regional rail systems like Cercanias’ in Madrid. SNCF, the State-owned Railway Company of France, has also expressed willingness to support RRTS projects.